MAB Celebrity Services is offering fans a chance to meet and get autographs from members of the 1986 and 1969 World Series Champion Mets teams, as well as the 1973 and 2016 National League Champs, the 1988 and 2006 NL East Division Winners and the original 1962 squad on Saturday, November 14th at the Crowne Plaza Fairfield in Fairfield, NJ. For more information and full guest list, check out MAB’s website. When I woke up Saturday morning, I didn’t think I was going to MAB Celebrity Services’ “Pinstripe Pandemonium” show. 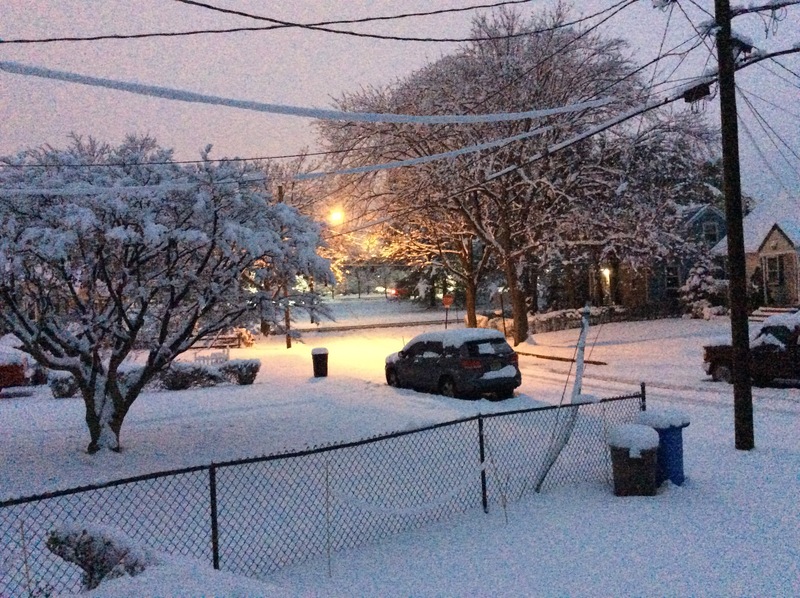 As it turned out, the snow and rain was all but over. My friend Bart said he had no trouble getting to me, and the roads were clear from my place to the Hilton Hasbrouck Heights and both Pedro Martinez and Randy Johnson had arrived in town on Friday. In fact, we were there an hour and a half before Pedro was due to start signing autographs. We checked out the vendors’ tables – I found a couple of relatively inexpensive signed baseball cards for my collection, Bart bought a box of 2014 Bowman Draft cards. 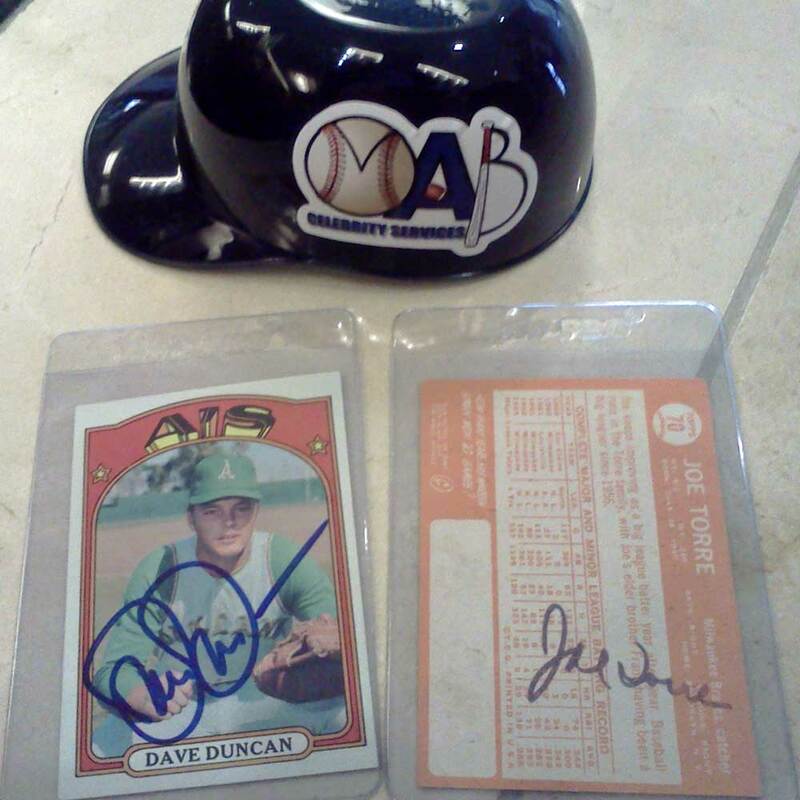 Baseball cards signed by Dave Duncan and Joe Torre, along with a plastic souvenir mini-helmet given away at the show. 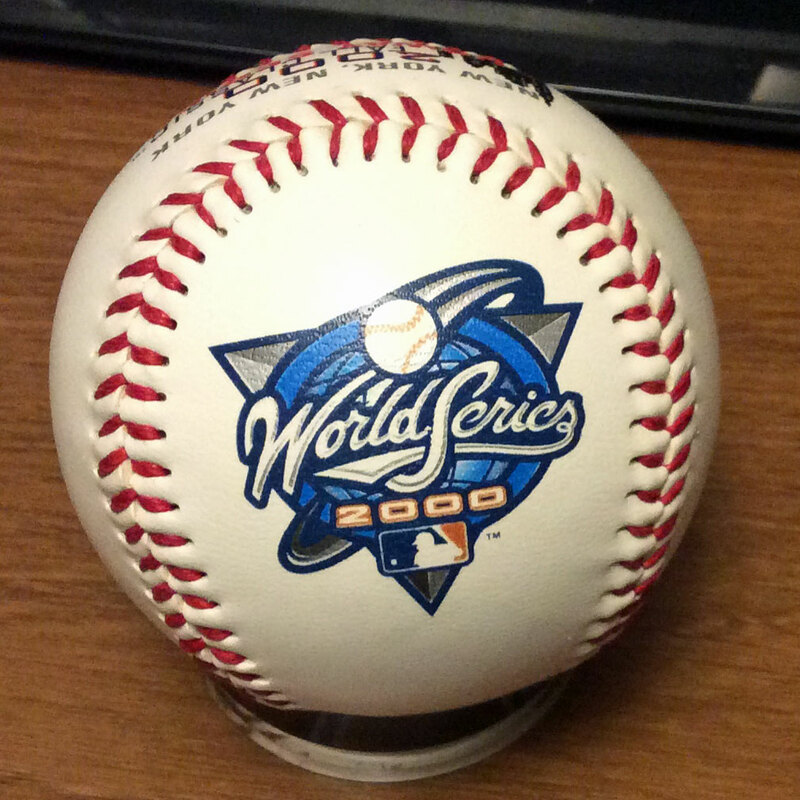 This October will be the 15th anniversary of the New York Mets’ last World Series appearance… but not surprisingly, the folks at MAB Celebrity Services are only interested in the winners of the 2000 World Series. Next weekend, they’ll hold “Pinstripe Pandemonium,” a celebration of the 2000 New York Yankees World Championship team. The show will also feature appearances by other Yankee “legends” and three of the four newly-elected baseball Hall of Famers. Fans will have the opportunity to meet and get autographs from former Mets Pedro Martinez ($159+), Doc Gooden ($35), Doc Medich ($20+), Rick Cerone ($30), Paul Gibson ($25), Mike Stanton ($25+) and Shane Spencer ($20). I don’t expect to get anything signed at the show – I already have all of the ex-Mets and cannot even think about paying the $199 fee to have Randy Johnson sign an 8×10 photo – but I plan to tag along with my friend who wants to see Martinez and Johnson. 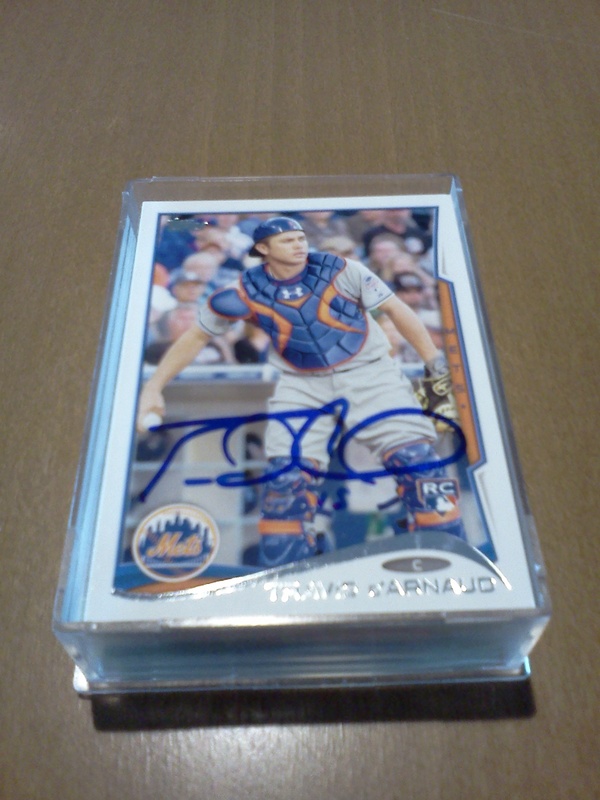 Maybe I’ll find an inexpensive card or two to add to my Mets autograph collection while I’m there. Pinstripe Pandemonium will be held at the Hilton Hasbrouck Heights-Meadowlands in Hasbrouck Heights on Saturday, Jan. 24 from 9 a.m. to 5 p.m. and Sunday, Jan. 25 from 10 a.m. – 4 p.m. For more information, including the full guest list and prices, visit mab-celebrity.com. Are you planning to attend the autograph show? Four members of the New York Mets Hall of Fame are scheduled to sign autographs at MAB Celebrity Services’ “That ’90s Show” on Sunday, October 26th. The weekend event, which begins on Saturday, October 25th, will be held at the Hilton Hasbrouck Heights-Meadowlands. 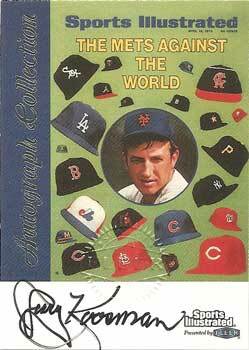 The former Mets stars are Jerry Koosman (autographs are $39), Cleon Jones ($20), Bud Harrelson ($20) and Ed Kranepool ($18). Fans desiring autographs from all of the ex-Mets players can purchase a super ticket for $69. The main focus will be a mini-reunion of 1994 New York Rangers hockey players on Saturday, along with a scheduled appearance by Hulk Hogan and several other pro wrestlers. Sunday’s slate of guests includes the ex-Mets as well as a couple of baseball Hall of Famers: Jim Palmer and Rollie Fingers. All information is subject to change – for more details and the latest guest list, check MAB Celebrity Services’ website. The St. Louis Cardinals won another World Series title last night, and when I woke up this morning I found emails offering me the opportunity to buy autographed souvenirs. MAB Celebrity Services is offering pre-orders for photos and baseballs signed by manager Tony LaRussa with a “2011 WS Champs” inscription for between $99.99 and $129.99, depending on the item. Steiner Sports is offering World Series baseballs signed by Albert Pujols ($499.99) and World Series MVP David Freese ($299.99).